Jacob Marlin and BFREE were honored in 2017 by the Heirloom Cacao Preservation Initiative when BFREE cacao was designated as the 11th heirloom variety in the world. William Garcia, Lead Avian Tech, was selected to participate in the 2012-2014 cohort of Caribbean Emerging Wildlife Conservation Leaders program. 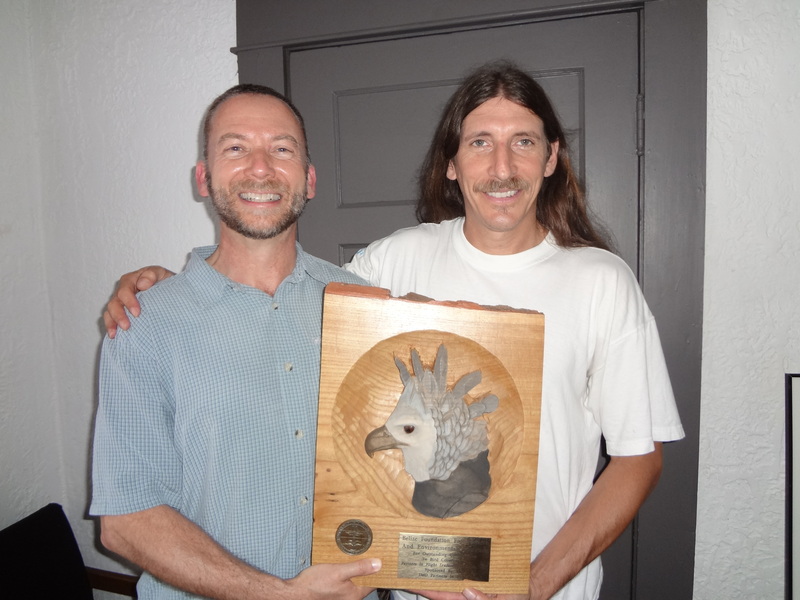 BFREE Avian Team was the proud recipient of the 2012 Partners in Flight Award for Bird Conservation award. Revenue generated by station use fees is generally enough to maintain basic operations, but does not cover the implementation of the various research projects on-site and in the surrounding protected areas. Grants as well as both institutional and private donations are necessary to support new and existing research projects such as the Cacao Agroforestry Project and the Hicatee Conservation and Research Center. Annual donations and grants help stimulate existing research and develop new research projects in the rainforest at BFREE and in other surrounding protected areas. They also help us to provide scholarships and training opportunities to our Belizean community. While a large portion of our projects and research is funded from revenue generated by BFREE programs, we also apply for grants, government support and receive in-kind donations from a variety of agencies and organizations.